Clutch Crowns are designed to fit anyone. They are made of durable, yet soft reclaimed metal. Each piece is slightly bendable, making it easy to adjust the fit specifically to your body. Pack it in a suitcase, and it might get a little smooshed. No problem. Give it a little bend and squeeze and it’s better than new. Doesn’t sound that easy? You might be surprised. Lexi Hart, one of our favorite Clutch models, effortlessly shows us how to take the Vicious Punk Crown and transform it into a custom fitted choker in a matter of seconds! 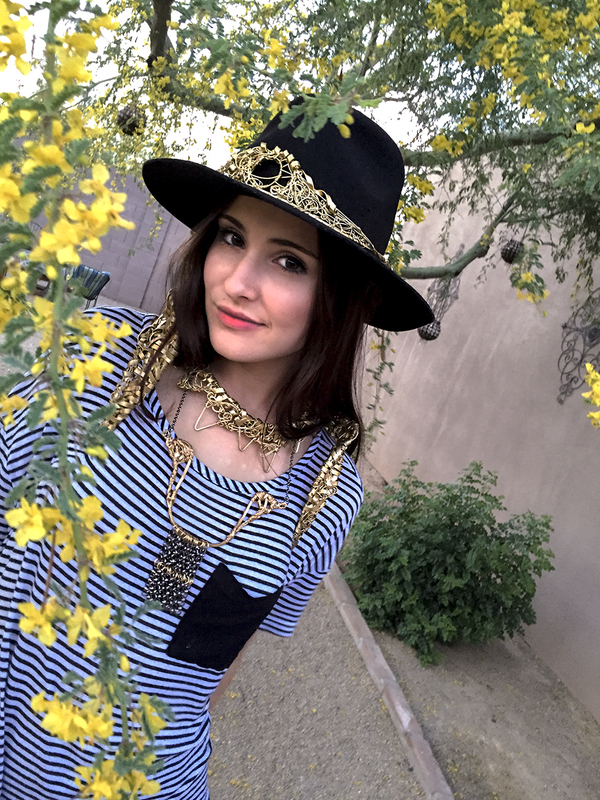 And one of our oh so well known Costello Crowns from Mercedes-Benz Fashion Week in New York was her favorite accessory for Coachella 2015. “If you want to stop people in their tracks, wear Clutch Crowns.” she wrote in a recent article for local style blog Couture in the Suburbs. The lovely Jessica Seeger stars in this second video showing how to wear our Watchtower Belt two ways. We’ve also had a few gameshifters use this belt as a caplet as well. However you wear it, we are warning you, you’ll be addicted to fondling the chain tassels. These girls make festival fashion look easy, and we hope they’ve inspired you to get even more creative with your concert outfit ideas and invest in some multi-purpose, comfortable, and most importantly show stopping accessories. Our goal is to take your outfit up to 11. Happy festival season Gameshifters!